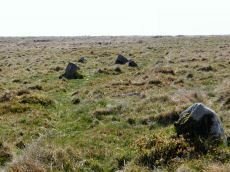 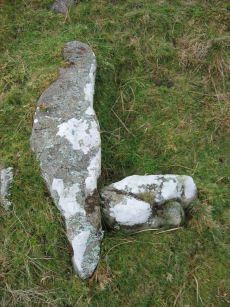 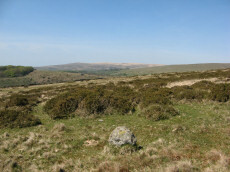 Notes: "A double stone row, with a cairn at the north-east end, lies near the moor gate at Cantrell, Ugborough Moor. 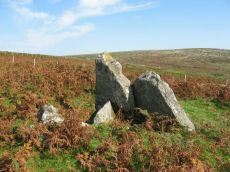 The southern row consists of nine stones, one of which is almost buried and one has fallen. 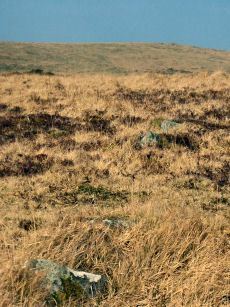 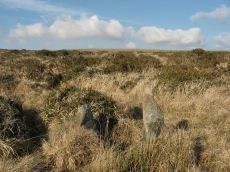 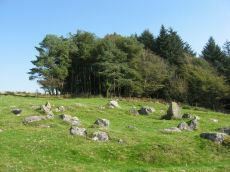 The length of the row from the centre of the cairn is 153 feet and the alignment is N44o 20' E. The rows are from 7 to 12 feet apart and the stones are about 5 feet 6 inches apart, centre to centre. 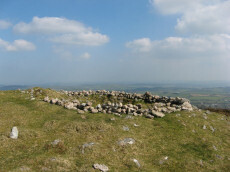 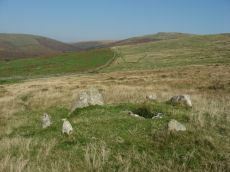 The cairn has a diameter of 22 feet and encloses what may be the remains of a cist". 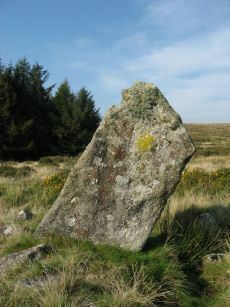 Notes: Turner F3. 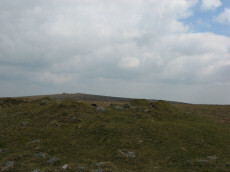 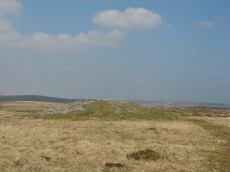 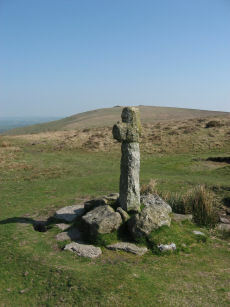 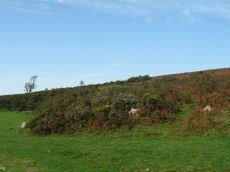 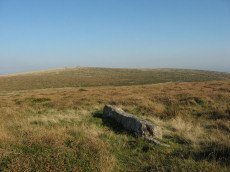 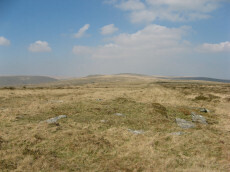 "This cairn occupies a prominent position on the brow of a hill and is one of two north-west of Harford Moor Gate. 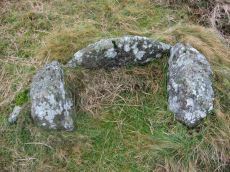 Measures 13 metres in diameter and 0.3 metres in height, it is turf-covered and has a retaining kerb." 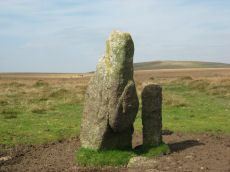 Visited by the author 20/04/19. 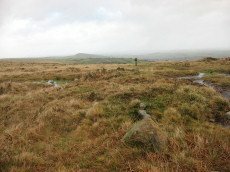 Garmin gives location as SX 64495 59682 but a Lidar source gives location as SX 64494 59677 - which matches closely the HER NGR. 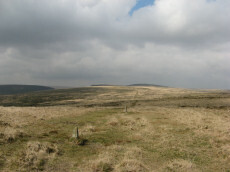 Notes: On the western side of Harford Moor reservoir.